Did you know Austrailia's seasons are reversed from the US? While we are hunkering down for winter they are idling in the land of spring and honey and this polish is perfect for that season. Flutterby Garden is packed with green, lime. 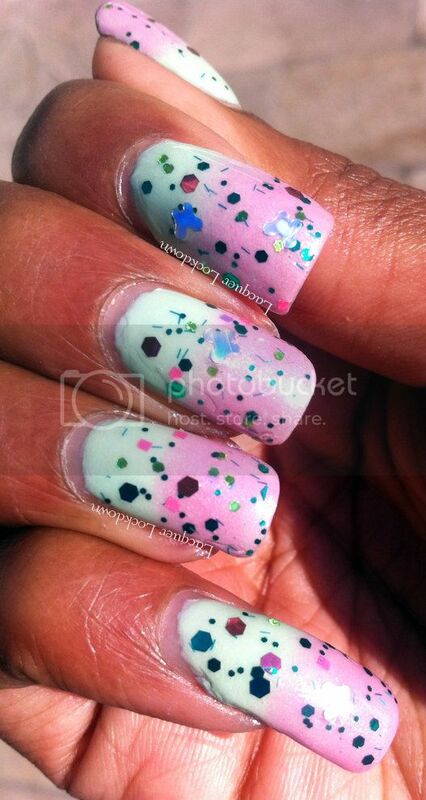 lavender and pink hexes along with pink squares, tiny bar glitters and silver holo butterflies. Isn't this description incendiary? My nails feel springtime pretty lol if a tad out of season. I will say however I could care less when my nails look this pretty. I love how Mt Yu and OPI's Pedal Faster Suzi blended for this gradient as well. The ever morphing Mt. Yu shifting colors again. 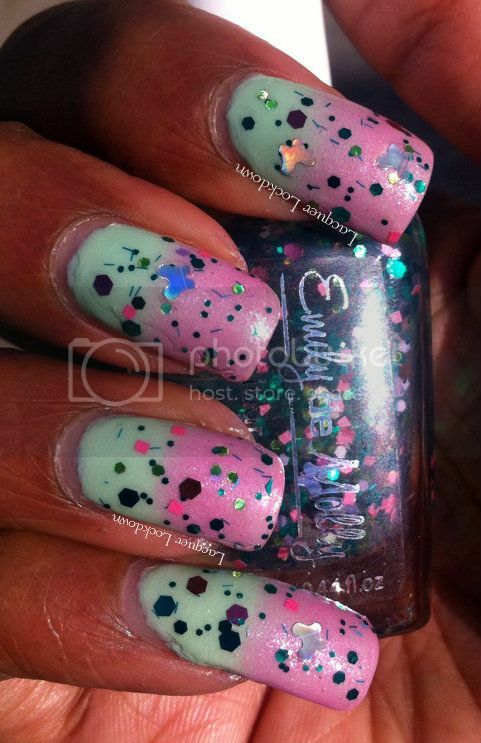 What do you ladies think about rocking mani's "out of season" - yay or nay? In any case if you are interested in Emily de Molly her polishes can be purchased by US consumers at Llarowe or Shoppe Eclecticco. Elevation polishes can be purchased here. Thanks so much for reading and see you next post! Toodles!